In a recent video interview with Amway executives, Doug DeVos and Steve Van Andel, a Wall Street Journal reporter asked them a probing and revealing question. The question was, what percentage of the products that Amway sells to the distributor/salespeople, (called Independent Business Owners, IBO) are resold to end-user customers who are not also distributors? In other words, how much is retailed? Why would the Wall Street Journal ask such a question to a “direct selling” company? Isn’t direct selling, by definition, all about salespeople selling products to retail customers? Why would Amway be asked “how much” of the products are actually retailed? The reason is that this question determines the very legality of the entire Amway enterprise. The question was posed to Amway (but would never be posed to Proctor and Gamble, for example) because Amway’s legality is regularly challenged in court by consumers and top level distributors in the USA and Canada and by regulators in some other countries. The universal charge against Amway is that it is not a direct selling company at all but rather is an illegal pyramid scheme that sells a bogus income scheme. Even the US government made this very same charge about 30 years ago. A federal judge allowed that Amway could continue back then, but only as long as Amway’s business was truly retail-based and was not generating revenue from consumers investing in the pay plan and then transferring the money from one group of salespeople and to another in an endless recruitment scheme. So the Wall Street Journal was asking Amway whether it was a fraud or not. Amway’s Answer, the Whopper that Could Bring the Scheme Down? The Amway execs. told the Wall Street Journal that half of the sales that are made to the salespeople are resold to actual retail customers (buyers who are not also IBOs). The other half is not resold by the salespeople to anyone. Amway offered nothing to back up the statement about 50%. It keeps no records of end-users and has no way of knowing where or to whom retail sales are made. And, according to claims of insiders and the anecdotal reports of many rank and file Amway distributors, this answer is fabricated. In a lawsuit against Amway, top level distributors charged that the actual retail sales level is less than 5% and Amway itself used to claim in it’s widely distributed “Sales Aid 4400” document that only 18% of products are retailed. But, even if the new 50% figure Amway is not touting were true, Amway may have admitted to illegality. The level of retail sales — money coming from outside the recruitment chain — is the main factor that determines whether Amway is a pyramid scheme or not. In other prosecutions of multi-level marketing schemes similar to Amway, The United States Federal Trade Commission (FTC) has used a test to measure the required level of retailing. 50%, if it were true, would likely put Amway beyond the pale of legality. Other data would also have to be verified. But Amway claims to pay bonuses of 25% on all $10.8 billion in purchases by the salespeople. The bonuses are paid to the recruiting chain, each level taking a portion. A 50% retail level would mean that more money was paid out in bonuses based on purchases by Amway salespeople than the salespeople could have possibly gained in retail profit. Something is very wrong with that picture. More money is gained by recruiters of salespeople than the salespeople can make in selling the products? This would be a red flag that the real money in Amway is in recruiting people into the pay plan not in selling product. If the media or the government digs deeper and determines that Amway has a minimal retail revenue base — that it is not operating as a retail-based business, as the original court order required – Amway could face major legal and regulatory challenges that could threaten its existence. In real dollars in 2011, the 50% answer would mean that $5.4 billion was bought by the salespeople and resold to actual retail customers. The other $5.4 billion was purchased by salespeople and was never resold. So total retail sales would be only about $6-7 billion for a company that claims revenue in 2011 of $10.8 billion. How could that be? Said another way, the salespeople buy for themselves just as much as all the Amway customers do in the entire world! To get a sense of the wackiness of this data, imagine Ford Motor Company announcing that its car dealers bought — just for their own use — half of all the Fords that were sold worldwide! Imagine McDonalds announcing that its restaurant owners buy — for their own use and enjoyment – as many hamburgers as all the McDonald’s customers do all over the world! The courts in the USA and internationally and the Federal Trade Commission do not recognize purchases made by salespeople as “retail” sales. Those sales are “internal” transactions, made to Amway contractors who paid fees to participate in the pay plan and the pay plan rewards the salespeople for making purchases. Amway salespeople are awarded “points” on their own purchases, which count toward bonus rewards. So, Amway actually offers payments for making personal purchases as well as on the purchases of other sales people who are recruited. In fact, the entire pay plan is based upon the distributors themselves making purchases. No bonuses are paid on retail sales, only on the purchases of the salespeople or on the purchases of the salespeople they recruited. The Wall Street Journal question to DeVos and Van Andel about retail sales level is analogous to a reporter asking Bernie Madoff (before his scheme was exposed) what volume of trades Madoff actually made to generate the 12% per year that he paid out, year after year. It would be the same as asking Charles Ponzi (before his scam was exposed) how many international postage coupons he traded in order to pay a 50% return to his investors. Madoff claimed he was able to pay high returns because he generated millions in profit from stock trades he said he made. In Ponzi’s case, he said profitable trades on a type of postage coupon gave him the money to pay his investors. In other words, both claimed that “outside” revenue was the source of their payments to investors, not just other investors’ money. There had to be such revenue or the schemes would be obvious money-transfer frauds. Amway claims it is able to pay billions to its top ranked recruiters based on salespeople selling Amway products to retail customers. Amway says it is a “direct selling” company. The “outside” revenue, which is required for legality, is the payments of retail customers. They are the ultimate source of the bonus money. The customer pays the salesperson who pays Amway and Amway pays the upper level salesperson who recruited that salesperson. The business, according to Amway officials, is fundamentally based on selling products to salespeople who resell the products to their customers, one by one. Each salesperson can gain “bonuses” on purchases of those they recruit, but those bonuses are based on the “recruits’ sales to retail customers. If they are not, then the income proposition for all requires that they recruit more salespeople, who would do the same, ad infinitum. That’s called an endless chain fraud. It can’t deliver its promise of income. It dooms nearly all to fail. It was later revealed that Madoff and Ponzi got their money for payments from the funds gained from later investors. There were no trades, or at least very few of them. Effectively, there was not enough “outside” revenue. They were operating money-transfer schemes. Madoff and Ponzi were transferring money from one group to another. To keep their schemes going, they had to recruit more and more investors. The tragic result in all such “endless chain” schemes is that the vast majority have to lose their money. When Ponzi’s scheme was exposed, we gained the new term “Ponzi scheme.” Many more have been operated since then, Madoff just being one. And, remember, Madoff was never caught. His scheme collapsed on its own when the Recession hit, and then he came forward and confessed. So,effectively, by asking how much product was retailed, the Wall Street Journal asked Amway, “Where does your money come from that you pay out as performance bonuses?” Amway tells recruits that they have “unlimited” income opportunity? It is those bonuses that Amway claims are “unlimited.” Do they come from retail sales (outside) or are they just out of the pockets of the latest salespeople who are recruited to invest in the pay plan, in the way that Madoff and Ponzi paid off investors? How is it possible that everyone could have an “unlimited” opportunity? Where Does the Money Paid out as “Bonuses” Come from? Amway says that in 2011 it got $10.8 billion from 3 million Amway salespeople who invested in the Amway pay plan. On average, the salespeople/investors paid nearly $100 to join. So, overall, each salesperson, on average, paid in fees or purchases to Amway about $3,600. Each purchase earned the salesperson a “point” on which bonuses would be calculated. All the purchase of those they recruited add to the points, and the total would determine the rate of the bonus payment. Amway offers rewards to the salespeople to buy its goods and then pays them more rewards on the purchases of those they recruit to do the same. Amway pays its active distributors about 25% of all the money it takes in from the from all the salespeople’s purchases. Do the bonuses come from other salespeople who joined later? Or did some come from the outside (retail). If some was retailed, how much? Amway said 50% of the product was resold, and 50% came only from the salespeople. Unlimited Opportunity from Limited Funds? If 10 people each put $10 into an income scheme, and there is no other outside money, there is only $100 available. If just one of the 10 investors is to get more than his original $10 as a return, all the others could gain no profit. For some to make money, others have to lose or at least make nothing. A promise to all that they could “potentially” make a profit would be a lie. It is not possible. The endless chain trick uses the closed system described above, but tells the investors that even if all the money is their own money, everyone can still make a profit as long as more and more people join the plan. So, all the investors put their own money into the scheme, and then all are promised they can make “unlimited” money as long as they can recruit more people. This is the same lie as in the 10-person fraud described above. No matter how many join, the amount available is the amount the investors themselves put in. It is a closed system. For some to win, others must lose or gain nothing. If more join, more will win but in proportion, more will also lose. The promise of “unlimited opportunity” is a calculated lie. Amway promises unlimited income potential to all who join. But if most of the money available is the money the salespeople themselves put in with their own purchases, then for one to win, somebody else among the salespeople has to lose or make nothing. If a few at the top make a huge return, as Amway claims from their “performance bonuses,” then nearly all the others must lose. Do Any New Recruits Make Money in Amway? As it turns out, according to Amway’s own data, the bottom 99% of Amway distributors lose money. They receive, an average, of about $13 a week. This is only a statistic based on dividing total payments by total participants. In reality, very few ever make even the $13. Small as it is, the income figure is still a mirage, a statistical illusion. In fact, the bottom 99% on average earn no net profit. But the purchase numbers are real. On average, all the salespeople pay in about $70 a week each in fees and purchases. Meanwhile those in the top ranks get as much as $600,000 a year. But Isn’t Amway expanding? Yes, and just as was shown in the analogy, “expansion” makes no difference to the outcome of the salespeople if most of the money is “inside”. Expansion will enable more to get a profit but it will also greatly increase the number of losers. The transfer from losers to winners still takes place in exactly the same proportion, no matter how much Amway grows, if most of the revenue is “inside,” from the salespeople themselves. The only way the promise of “unlimited opportunity” could be true, would be if the number of salespeople always increased — forever and ever. Obviously this cannot be. The Amway executives have been challenged on this question of “where does the money come from?” before. In a recent class action lawsuit consumers in the USA claimed Amway was an illegal pyramid scheme in which money was taken directly from those recruited and paid to the top level recruiters. The lawsuit said there was no actual retail sales opportunity. Amway has offered to pay as much as $150 million in restitution and reform to the accusers. Where there is smoke…? 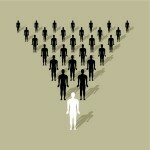 Amway states on its website that it has more than 3 million salespeople. It states that only 46% are active. Inactive salespeople never made one retail sale. So 54% of all the Amway salespeople never make even one retail sale! Therefore 1.38 million (3 million X 46%) made whatever retail sales that did occur. They resold $5.4 billion of the goods they bought, or one-half of all the products sold by Amway to all the salespeople – Amway says. This means that on average, the “active” salespeople, that is the ones who made sales, each sold only $3,900 of the goods on average. The maximum retail profit margin (based on advertised pricing) that they could earn on that amount of sales was about 29%, yielding $1600 at most in a year’s time, about $31 a week, before taxes and all expenses are deducted. This means that those who made retail sales, on average, gained less from those sales than they personally purchased – and did not resell! If the Salespeople Gain No Net Profit from Retailing, How Could Amway Be a Direct Selling Company? All the Amway salespeople, on average, buy and never resell $1,800 of Amway product, per salesperson, according to Van Andel and DeVos. The active ones that do some retailing, sell $3900 of what they buy, according to Van Andel and DeVos. But the Salespeople Are Customers. They Buy Amway Products because of Demand and Value! To say the least, it is improbable that 50% of Amway products are in fact retailed to the public, given the low profit margin, minimal amount of inventory purchased per sales person, high costs of sales, lack of brand awareness, lack of marketing support, and small amount of return relative to products that are purchased and not sold. But if they did, what about the other 50% that the salespeople bought and did not retail? Amway’s Van Andel and DeVos sought to minimize this bizarre picture of the sales people buying for themselves as much as all the retail customers did in the whole world. They did this by claiming that most Amway salespeople are not really salespeople at all. They are actually customers, who paid a fee and signed contract to be salespeople but that was only so they could get a discount on Amway products! They never planned to sell anything! They never thought about the pay plan! So, those purchases were really “retail sales.” And, they wanted to the product so much they preferred to pay to become salespeople rather than just buy from existing Amway salespeople who would gladly have offered them a discount. That is what Van Andel and DeVos said. They told theWall Street Journal that the salespeople bought the goods based on “value” and “demand” just like people buy other consumer goods. Could that be true? Would over 400,000 people in North America, for example, pay nearly $100 and sign highly restrictive, legally binding contracts to become Amway salespeople only so they could buy Amway goods at a modest discount? Couldn’t they have just bought the goods at a discounted price from the Amway salespeople that recruited them? And what is there about Amway products that would cause consumers to take all these unusual and costly steps, even paying money, just to get a discount? And, by the way, how did all these people even know about Amway products? Amway products are not advertised. They have a a miniscule market share. They are not unique. And they are not better priced. In fact, Amway goods are generally more expensive than comparable products which are also more readily available in stores or online. The claim of consumers clamoring for the Amway brand, paying fees, and signing lengthy contracts so they can buy a brand of product that is generally unknown, undifferentiated, more expensive and not conveniently available stretches all credulity. Yet, the Amway executives managed to persuade a Wall Street Journal reporter that it was perfectly reasonable. But, finally, there is one more strange factor to consider. If demand and quality were the reasons millions of people pay fees to join up as Amway salespeople, and buy thousands of dollars of products but never sell them, why do they suddenly stop buying? This is what happens. Millions sign up, buy some Amway products for a little while. When they quit the “business”, usually in less than a year, they never buy Amway products ever again. What happened to the “demand”? And, then, next year, another group follows their path, and like the others, soon quit and stop buying, never to buy again. Could it be that these people had joined up with the desperate hope of making some money? Could it be they heard the claims about unlimited income and a “recession proof” business? Could it be that Amway had persuaded them that they could make money, unlimited money, but only if they first paid Amway?